Protect your tiles from your kids! Not only can we clean your tiles and make them look new again, but we can also seal them. Our tile sealing and stone sealing services will completely protect your expensive tiles and stone flooring. A great solution, especially for homes where tiles regularly have food and drinks spilt on them by kids or pets. Whether you are looking for an expert tile sealing service for your home or commercial premises, we can help. Contact us for our a free quote and for advice on our tile sealing services and prices. We service the Northern Beaches, Upper and Lower North Shore, Eastern suburbs and the Inner West. Pressure and Steam’s team are highly trained to seal even the most expensive tiles and stone surfaces in your home or commercial premises. We only use top quality products and have a range to choose from for our tile sealing and stone sealing services in Sydney to keep your tile and grout looking like new. 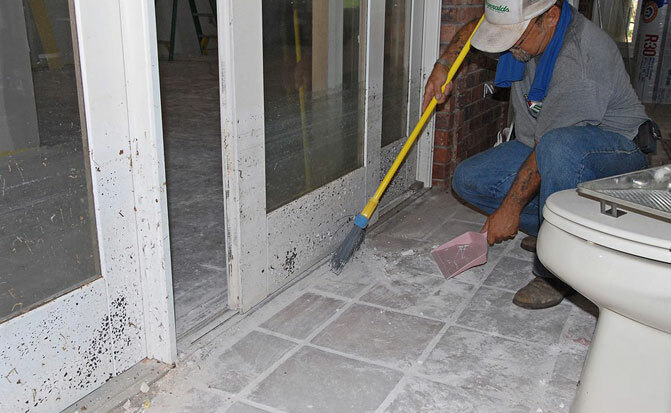 Our team is professionally trained in our speciality tile and stone sealing process. The head technician working on each tile sealing job has completed vocational training through ITI.